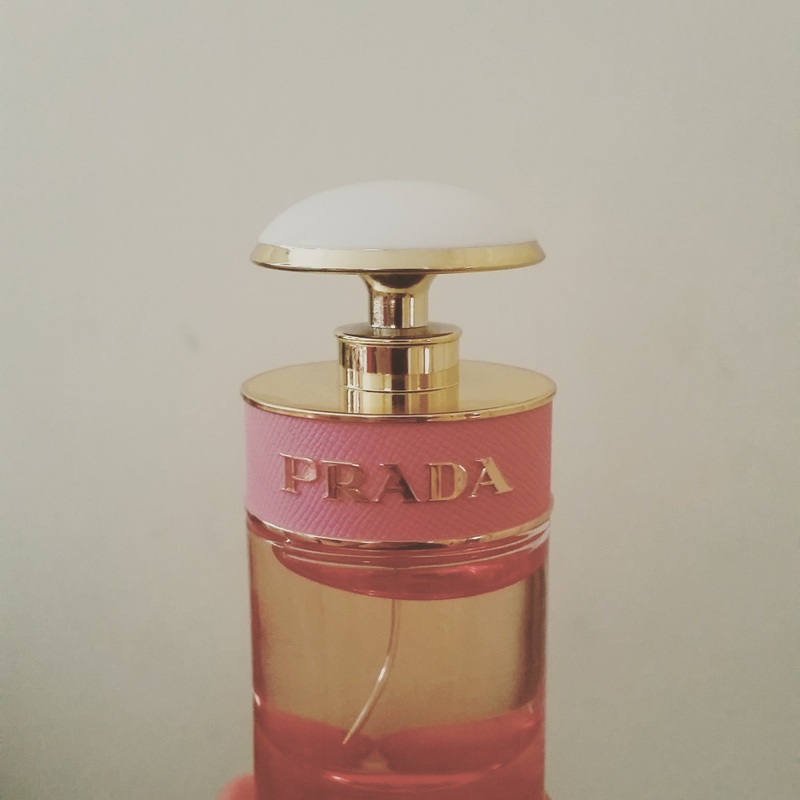 Another perfume review as part of my series. If you want to return to the beginning and catch up you can find its start here. I love Prada as a brand so much and an aim in life is to have one of their handbags one day (a girl can dream!). In the meantime perfume is as close as I’m ever going to get and as this one was widely advertised and is part of a wider collection I was able to convince my partner to get me some for my most recent birthday. fragrance evolved from the concept of an imaginary flower created especially for Candy. Of course, Candy cannot simply have any flower. Her fantasy flower must be unique, embodying her many facets: the fragrance’s light airiness puts the sparkle in her, followed by tender powdery notes that echo her Spring-like grace. A final whisper of warmth and honey reflects Candy’s rich sensuality. This is a perfume you really have to let settle and relax on the skin before attempting to give it a smell because the initial moments are very overwhelming. The actual scents described in the bottle are a bizarre mix that includes limoncello, peonies and caramel. Once settled it has an initial whiff of sweet peonies before a musky lemon scent ends it off to balance the sweetness provided. It really is a strange combination of smells but they seem to work hand in hand as you move through from top notes to base notes. Application needs to be done quite sparingly however as otherwise it has the ability to seriously overwhelm the wearer and also those around them. More than one or two carefully calculated sprays on the wrist and they will almost instantly be regretted. In the right amount this is a great, sophisticated and gentle perfume but figuring out the right amount to apply takes time and perhaps a little perfume experience. I haven’t tried to other products in the Candy range so am unable to compare them but I enjoy wearing this one in very specific situations. If you are interested in this I would say to get hold of a sample before purchasing as 30ml alone is £40 and it might not be for everybody.